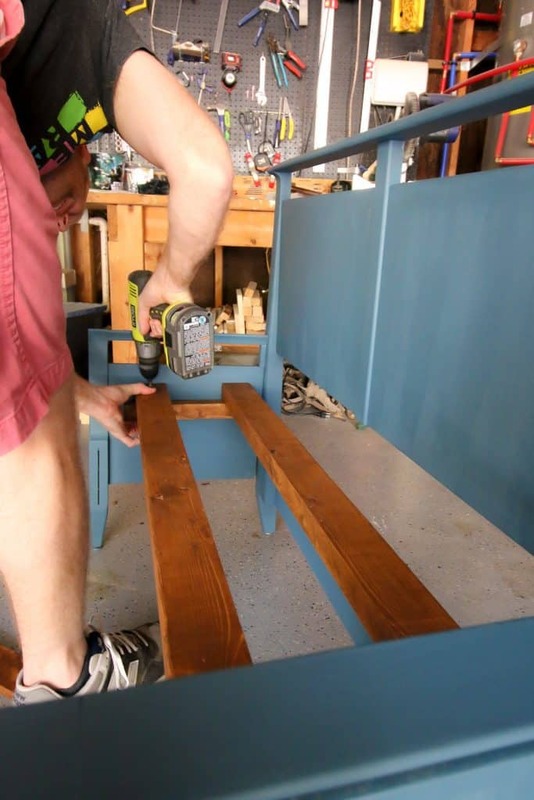 Want to make a headboard bench? Check out my tutorial below! I love thrifting and turning the furniture from something boring to something beautiful. However, our house is pretty full of furniture. So, I have decided to try my hand at flipping furniture. 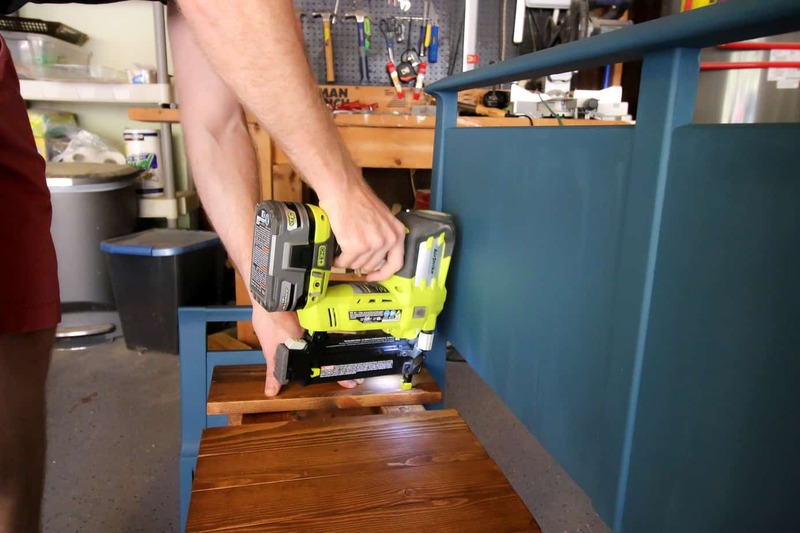 We did a bit of furniture flipping a few years ago when we partnered with Goodwill – we turned a sewing table into a bar, made over a bench, and updated a coffee table. This time, we are going to try flipping furniture for a profit. And, of course, we are taking you along for the ride. I get a lot of questions about flipping furniture so I really thought that it would be fun to use this series as a case study. Get ready to get nerdy with me! I was trolling Goodwill looking for a piece to flip for a while. I wanted something solid wood with modern lines. The winner was when I spotted a twin bed headboard + foot board for $10. But, I didn’t see much flip potential in a twin bed. Who even sleeps in a twin bed? Plus there were no rails, so it wouldn’t even really work as a bed. However, I knew from crawling Facebook marketplace that benches sell really well and for a good price. 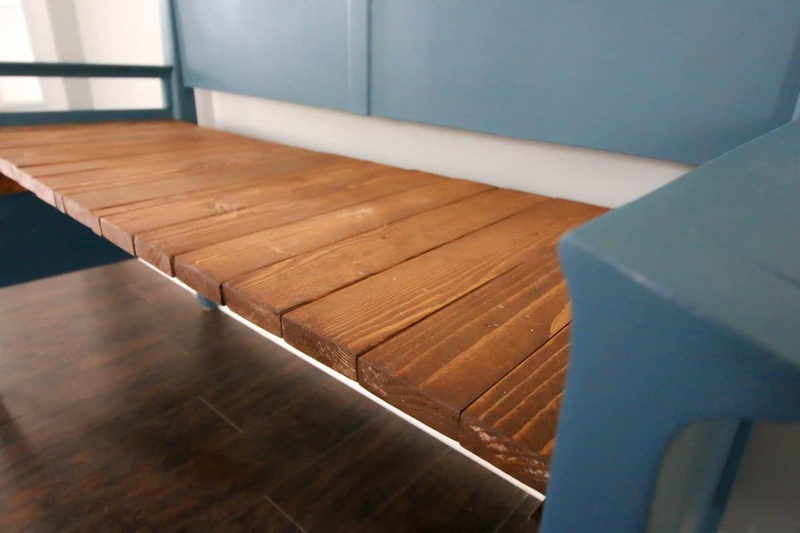 I liked the lines of the headboard and thought that we could hack it into a bench. 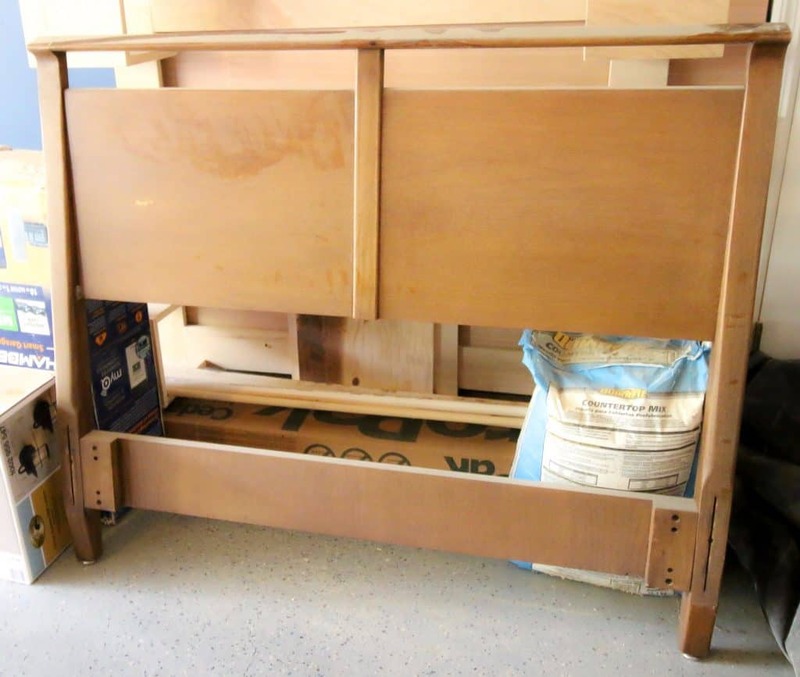 The general idea of this flip is that the headboard would be the back of the bench and the foot board would be the arms. We started by cutting the foot board into two pieces. Then we attached them to the headboard with pocket screws. Then we cut boards to attach to the two footboard sides, and cut 2x4s down to span the gap between the two sides. Then we finished it off with slats going perpendicular to the beams. As you can see, we painted the bench and stained all the boards before doing those steps. 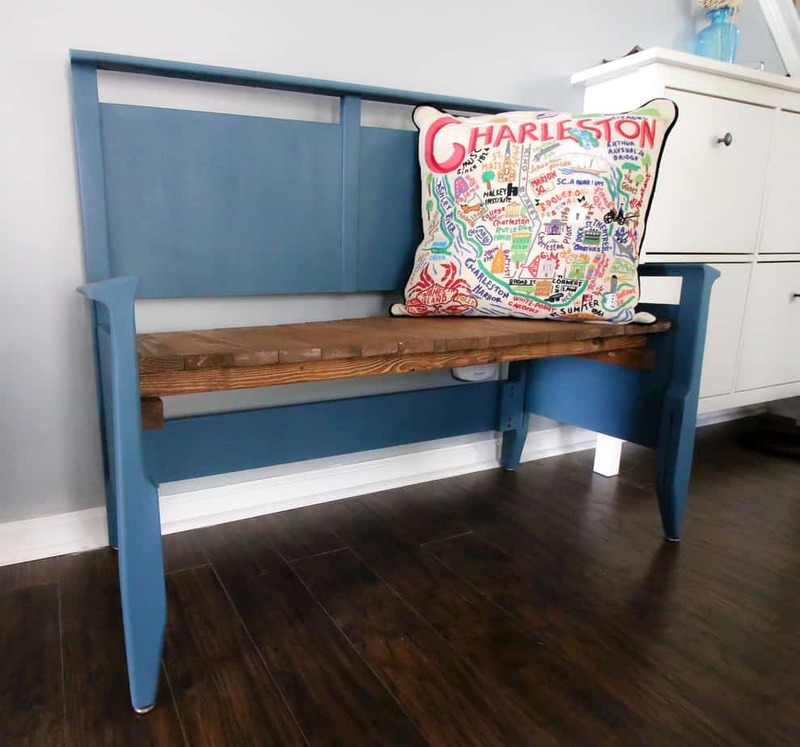 It's simple to flip a twin bed headboard and foot board into a gorgeous bench! 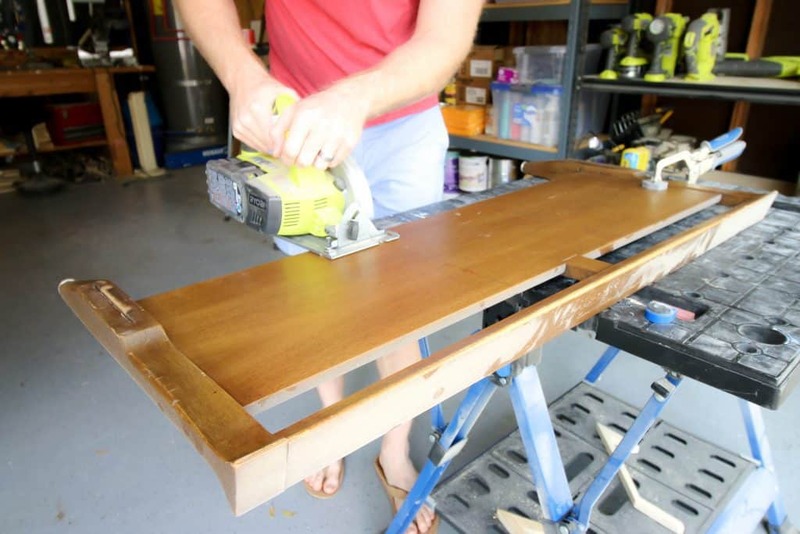 Cut the ends of the foot board to make two identical pieces to attach to the headboard. Each piece should be about 15-16". 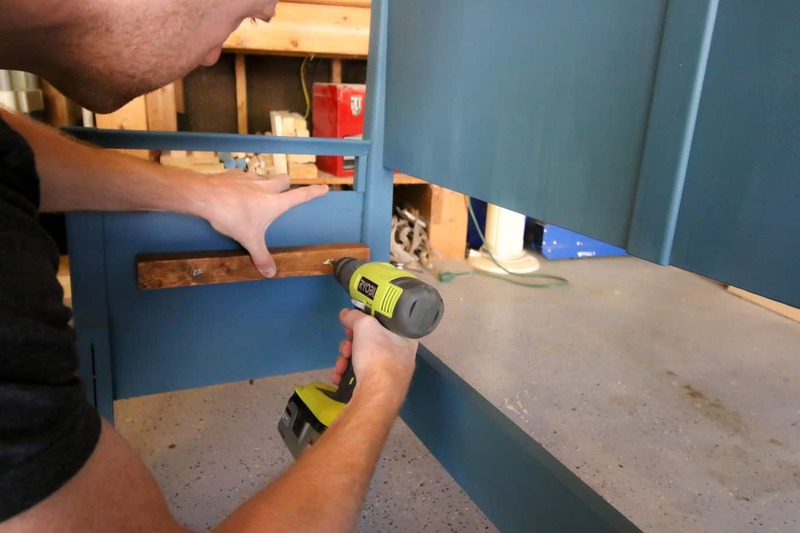 Drill pocket holes to attach the foot board to the legs of the headboard. Paint this whole piece with your choice. Stain all the wood in the upcoming parts after you cut them but before you attach them. 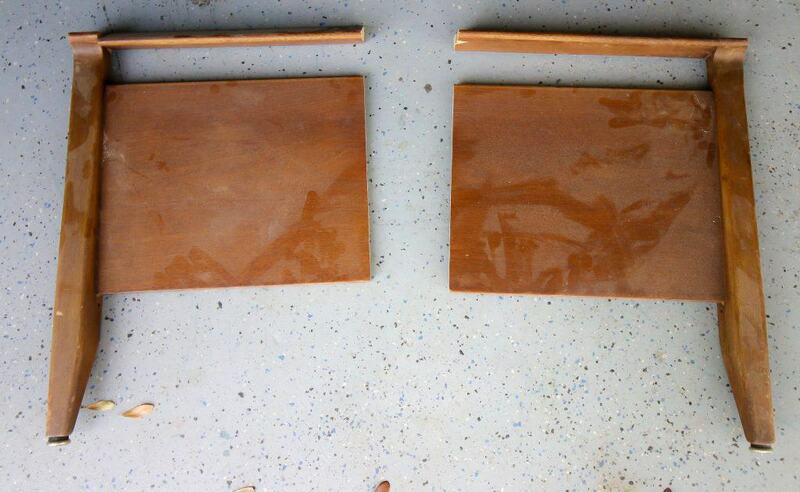 Cut two pieces of wood to attach to the foot board pieces. Cut two 2x4 beams and attach to the two braces on the legs. Cut 14" slats from the 1x3 and nail those onto the 2x4 beams. When you are looking for furniture to flip, you want things that are in working condition or that you can make work. Surface damage is OK, but it needs to be functional to sell. I like to look for solid wood furniture because I know how to refinish it. I have found that potential buyers often ask if something is solid wood, too! We sold the bench on Facebook Marketplace using some of the strategies for successfully selling on Facebook Marketplace that we’ve used before. No one uses craigslist anymore. We looked on Facebook Marketplace for benches within 20 miles. Prices ranged from $50-250. 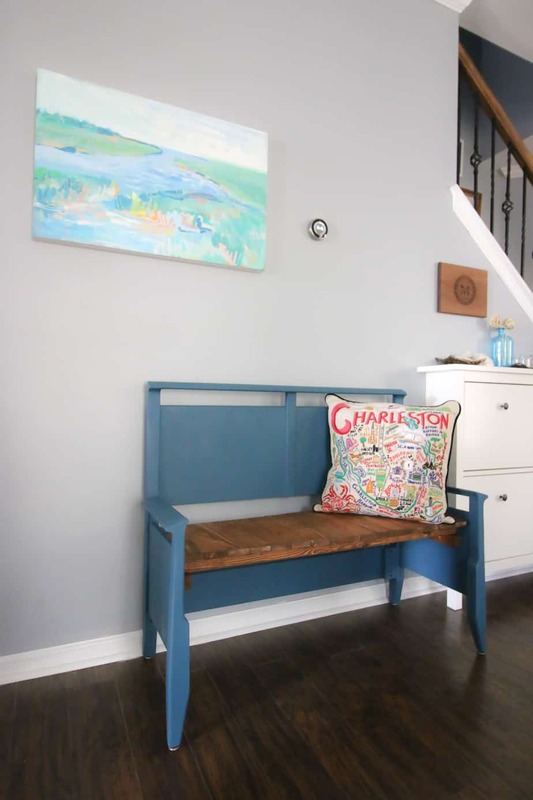 Wooden benches looked to be $100 or more, but a lot had been on the market for a while. 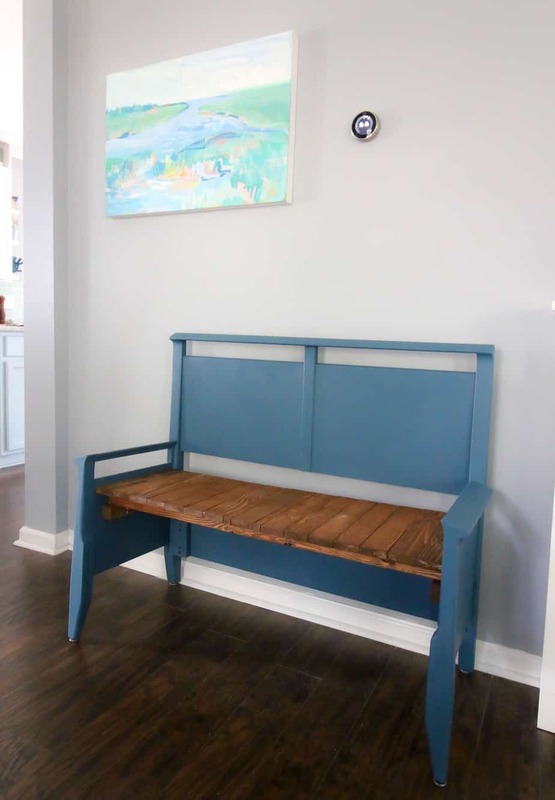 So, we decided to price our bench at $100. Our plan was to take it down to $90 in the first few days and $70 after a week. We had a lot of messages immediately! We got an instant offer for $50 and we said no. It’s important not to take a huge discount right away, unless you just need it gone. We got an offer for $100 on day two, but we would need to deliver it to her 30 minutes away. We told her if it is still here this weekend (it was Monday) that we would take that deal. On day three, we got a full price offer! When he showed up, he tried to offer $90 instead. I would have taken it, but he brought five $20 bills and I honestly didn’t have change for him. That’s a good lesson – if you want to make an offer, have exact change for what you want to offer! I also knew that he had drove all the way to our house and that the bench was something his girlfriend picked out and sent him to get. He wasn’t leaving without it! I am going to give you two calculations for our profit. The first will be our actual profit. As you can see, flipping furniture is not going to be very profitable if you have to go out and buy tons of supplies and start from scratch. Our accumulation of DIY supplies really makes a big difference. I am so excited to find my next piece to flip. Of course, you have to have patience when looking for thrifted furniture. And, to make flipping make sense, you really need to get a good deal! I’ll be out hunting and updating you on Instagram stories! What do you think we should flip next?